Some so-called “neutron star pulsars” are said to create nebulae as they spin. The standard model of stellar evolution proposes that pulsars are neutron stars rotating at incredible speed. For example, PSR J1748-2446ad, in the globular cluster Terzan 5, is reported to be spinning at almost 43,000 revolutions per minute (RPM). To put that rotational rate in perspective, the blades of a typical kitchen blender do not exceed 30,000 RPM. Astronomers believe that a neutron star is born when a star with sufficient mass collapses at the end of its life cycle. Since the gravity of the star is so great, it cannot resist the forces that compress its electrons into the atomic nuclei that make up its structure. This means that it can become as small as a city block, but its substance can weigh 10^12 kilograms per milliliter. As the theory states, when the star contracts, angular momentum increases, resulting in rapid rotation. The putative neutron star’s magnetic field becomes focused at each pole, creating a narrow beam of radio waves shining like the twin beams of a lighthouse. Conventional astronomers assume a large population of neutron stars in the Milky Way, so a population of pulsars must also exist. Rather than relying on kinetic energy, Electric Universe advocates assume that the oscillations in pulsars are due to synchronous vibrations in electric circuits. Electricity stored in double layers is responsible for their energetic outbursts. Pulsars do not shine with visible light alone; sometimes X-rays and gamma rays are seen. The outbursts begin with a sudden peak of energy, and then gradually decline, like a stroke of lightning. Whenever electricity flows through clouds of dusty plasma, it concentrates forces because of the Biot-Savart effect, drawing itself into helical zones called “z-pinches” or “Bennett pinches.” Depending on how much electricity is flowing through the circuit, any one star’s magnetic field will be greater where there is more current. Pulsars are most likely immense concentrations of electricity being focused by some kind of “dense plasma focus” effect. The dense plasma focus device provides a precise mechanism by which cosmic electric currents can influence the evolution and morphology of space structures [See Peratt, A. L. and Dessler, A. J. “Filamentation of Volcanic Plumes on the Jovian Satellite Io.” Astrophysics and Space Science volume 144, numbers 1-2, May 1988, pages 451-461]. According to a recent press release, the Vela pulsar is creating what astronomers call a “pulsar wind nebula”. Using the European Southern Observatory’s (ESO) INTErnational Gamma-Ray Astrophysics Laboratory (INTEGRAL), the nebular cloud surrounding Vela has, for the first time, been mapped in X-ray light. As the article states: “The Vela pulsar wind nebula is a cloud of highly energetic electrons and positrons that are injected by the pulsar into its surroundings and radiate across the electromagnetic spectrum.” While there is nothing wrong with that definition at face value, the theoretical underpinnings leave much to be desired. One problem with that announcement is that there are a significant number of PWNs that are not associated with pulsars! The dichotomy is nowhere addressed, despite this writer’s extensive search. 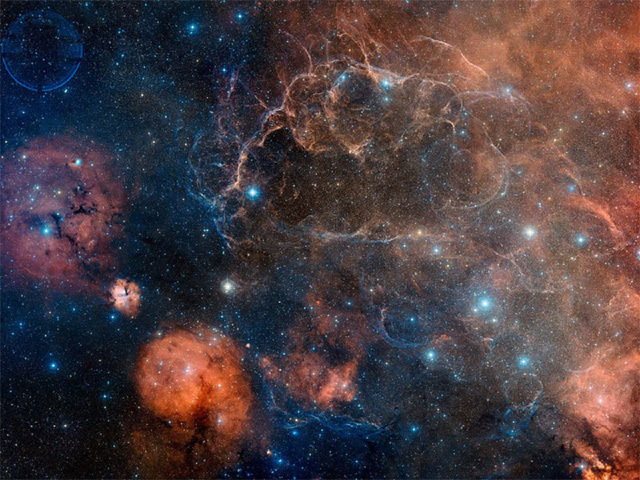 “It is assumed that a supernova can ‘squeeze’ stellar protons and electrons together to form neutrons. A first-order wild conjecture. The model incorporates many unproven assumptions about the unseen internal structure of stars. If the implosion is not spherically symmetrical there may be insufficient ‘squeeze’ to force protons and electrons to merge, even if that were possible. No account is taken of electrical effects. Our own Sun with a mean density only slightly above that of pure hydrogen, shows that electrostatic forces are at work within stars to offset compression forces. It is assumed that it is possible to form a stable neutron star. When not associated with protons in a nucleus, neutrons decay into protons and electrons in a few minutes. Atomic nuclei with too many neutrons are unstable. If it were possible to form a neutron star, why should it be stable”? The electric model of stellar evolution and behavior provides superior explanations when it comes to astronomical observations.